Star Wars: The Fan Awakens: 17 days to go: We Wish You A Merry Sithmas! Like most children, Christmas was always one of the most exciting times of the year for me. Beyond the food and family time, the stores would be packed with new and exciting Star Wars toys. I can still remember, as if it were yesterday, Christmas music playing as I walked through the toy section of the local department store to check out what Star Wars item I would put on my list for Santa. 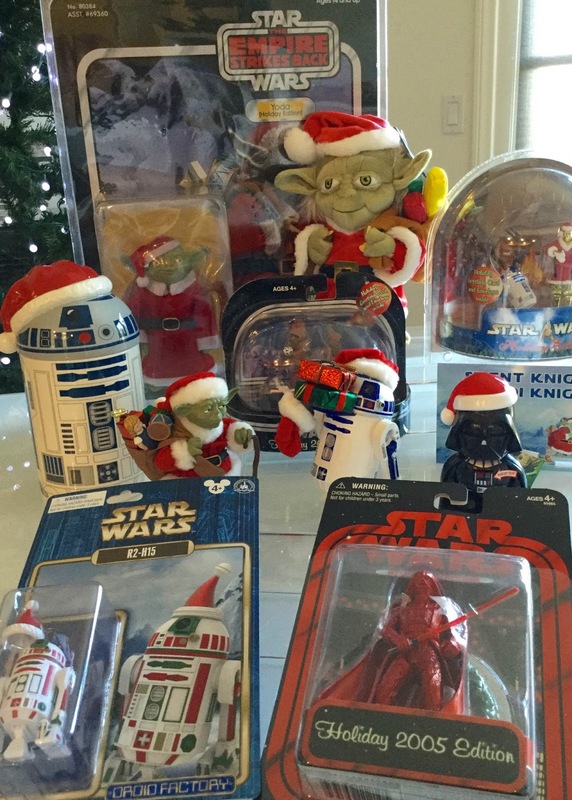 There was a time when Hasbro would release a special action figure each year, and over the years I have picked up quite a few Holiday-themed Star Wars items to add to my collection.